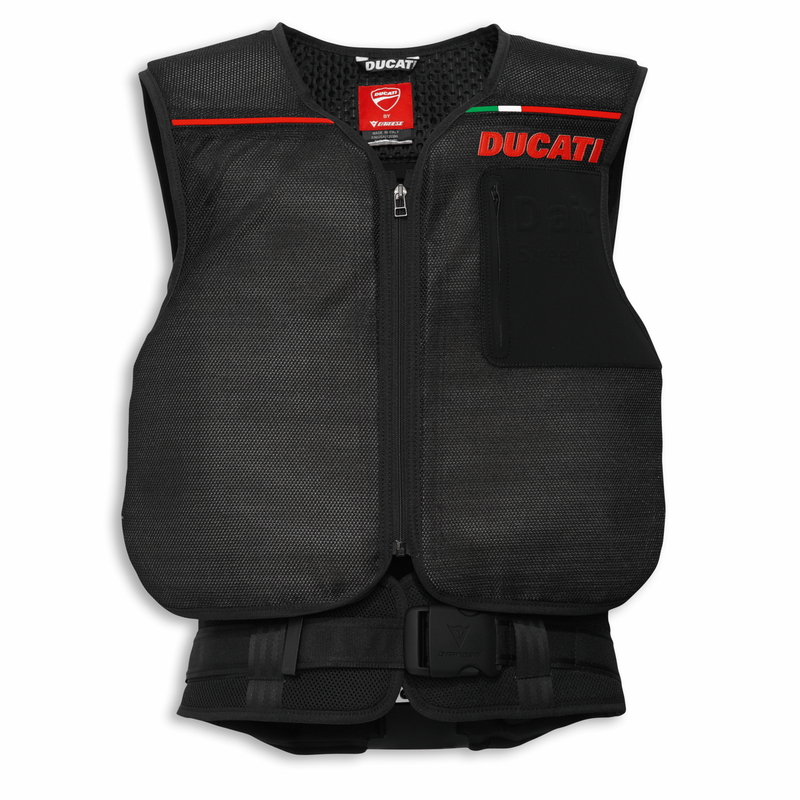 The Ducati D-air® Street vest, which can be worn over any type of clothing, is both protective and versatile. Equipped with the innovative D-air® Street system, this garment has a waistband with integrated trigger button that maintains the protective system in position. The presence of a certified Wave back guard completes the garment’s protections. 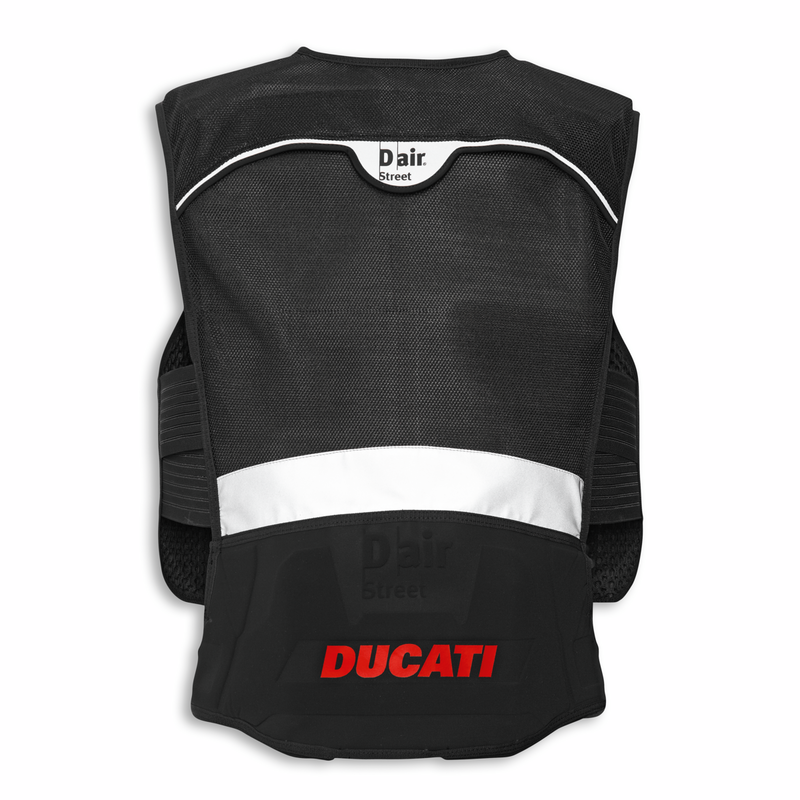 D-air® Street is an innovative system for the safety of bikers which is destined for road use and is made up of two separate parts: an assembly of sensors and electronic components pre-installed on the bike, and an electronic unit that, together with the pneumatic device in the garment itself, has the job of activating the protective airbag device.